254 pages | 21 B/W Illus. "There are 11 narrative chapters and a final set of conclusions that provide some excellent food for thought … For those interested in the science-policy interface or in the problems in finding agreement between diverse stakeholders with conflicting expectations, there is much of interest in this volume." - David Walton, in The Bulletin of the British Ecological Society (September 2017). 7. 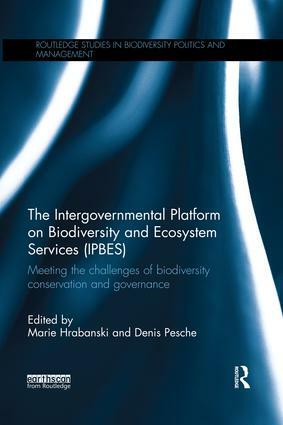 Making the IPBES Conceptual Framework: A Rosetta Stone? Marie Hrabanski and Denis Pesche are researchers in political sociology at CIRAD (Centre International de Recherche Agronomique pour le Développement - French Agricultural Research Centre for International Development), Montpellier, France. Within the research unit UMR ART-Dev, their work focuses on international biodiversity policies.